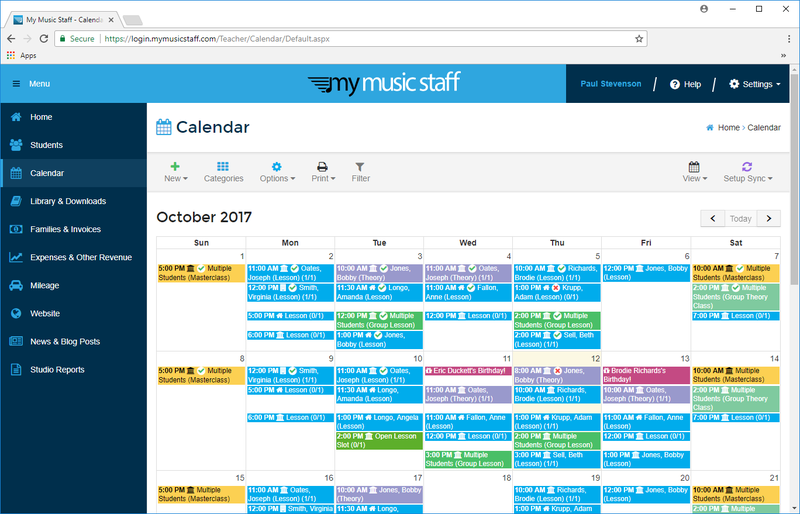 My Music Staff’s robust calendar feature allows you to quickly and easily track, arrange, and organize even the wildest of schedules. The powerful “Timeline” view gives multi-teacher studios the ability to group teachers by instrument and location, making busy schedules easy to read and maintain. Scheduling student lessons with My Music Staff is just as easy. Just click anywhere on the calendar to access the “New Event” drop down menu, select the student, time and how often the lesson repeats. You’ll have your entire studio setup in minutes. And it’s not just limited to private lessons either. You can schedule recitals and group lessons, or create your own custom event types. Music lesson scheduling has never been easier. 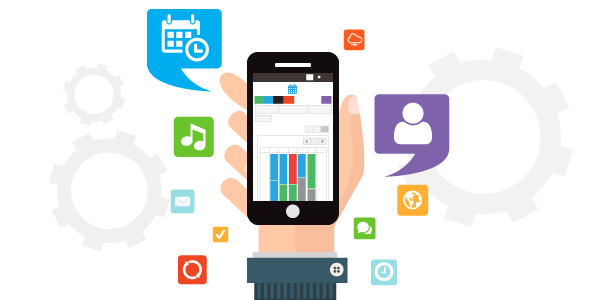 You can easily sync your My Music Staff calendar with your iPhone, iPad or Google calendar. Just click the “Sync” button on the calendar and follow the instructions on your device. 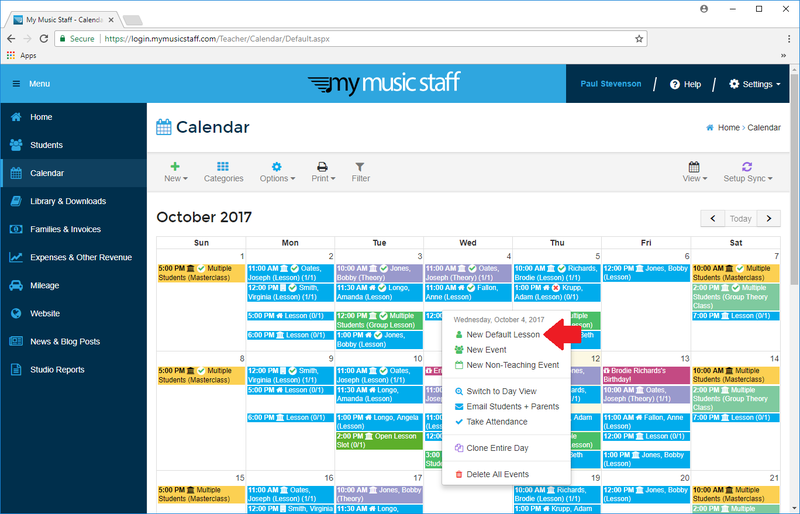 You’ll be able to see your My Music Staff schedule on your device’s calendar app, and it refreshes automatically so you’re always up to date. 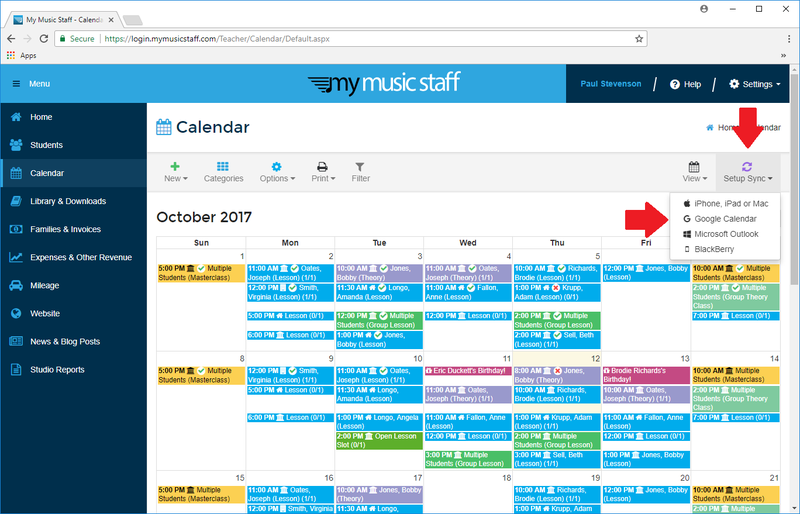 If you choose to give your students access to the My Music Staff student portal, they can view (and sync) their own music lesson schedule too! With everyone using the same calendar, you’ll have fewer missed lessons and more billable teaching time. At My Music Staff we know you won’t always be teaching in the same classroom or even in the same studio from lesson to lesson, that’s why we’ve introduced the ability to create Locations for your lessons and events! Locations is ideal for teachers working in a studio that has multiple classrooms or teaching at a location outside of the studio, you can even choose “Use Student Home Address” and the students home address is dynamically chosen when creating a new lesson. New location details can be as broad or specific as you like and if you provide an address when you setup your new Location, the address will automatically be sent to your synced devices. How handy is that? My Music Staff can enforce your studio’s Cancellation Policy, so when a student needs to cancel a lesson, it’s fair for everyone. My Music Staff automatically displays your written cancellation policy in the Student Portal, and can automatically bill (or issue make-up credits) if you don’t get the proper notice. Your students can get access to the Student Portal 24 hours a day, 7 days a week, so you don’t need to worry about missed phone calls or checking your email constantly. My Music Staff is always working, even when you’re not.